Heading into what is most likely the final home games of the season, the #25 Louisville Cardinals (37-15, 15-12) couldn’t be more proud of their past week’s performance heading into their final homestand. 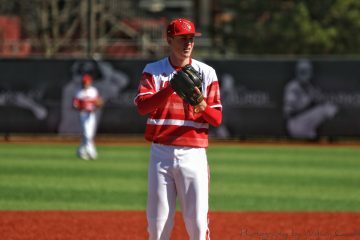 On top of demonstrating their offensive prowess in a pair of home midweek games against the Wright State Raiders (32-15) and against the Cincinnati Bearcats (26-24), the Cardinal Nine passed their final regular season road test with flying colors by sweeping the Pittsburgh Panthers (27-22, 11-16) in a three game series. 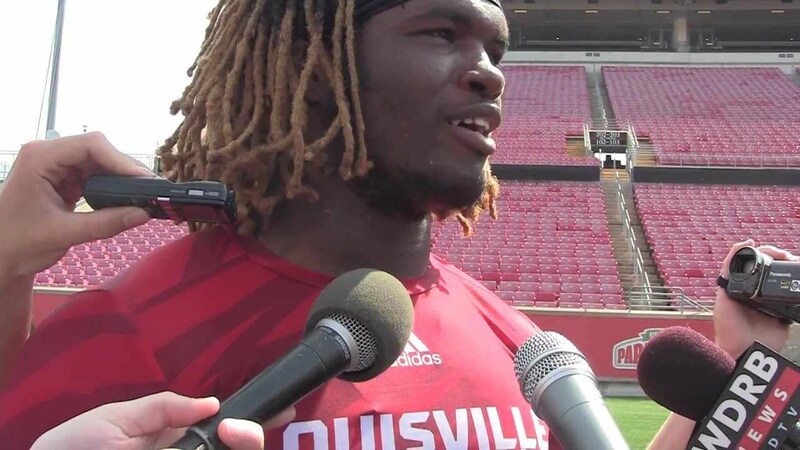 In all five games this past week, Louisville got the best out of all facets of their roster. After experiencing a bit of an offensive lull in recent weeks, their bats came back with a vengeance in their offensive explosion against UC, plating their most runs in a single game since 2010. Highlighting their pitching prowess as well, their sweep of Pitt was anchored by mostly their starting pitching as each starter in the Pitt series went at least 6.0 innings deep. Aside from a couple egregious defense miscues towards the end of game 3, the defense was much improved this past week, including a couple web gems in game 2. Coming up this week, Louisville has yet another pair of marquee opponents. Dropping from the polls, the Indiana Hoosiers (33-15) will definitely be motivated to earn themselves a resume booster in their midweek contest versus the Cards. Following that act up, the weekend home series against the Notre Dame Fighting Irish (23-25, 12-15) will be a crucial one in regards to seeding in the ACC Baseball Tournament. All Louisville Baseball games are ticketed entry this season for the very first time, and can be purchased through Ticketmaster here. Berm seating is $5 with reserved chair back seating costing $10. In case you cannot make it to the games, all games this week will be featured on ACC Network Extra. In both midweeks games, 8 of the 9 starters notched at least one hit. 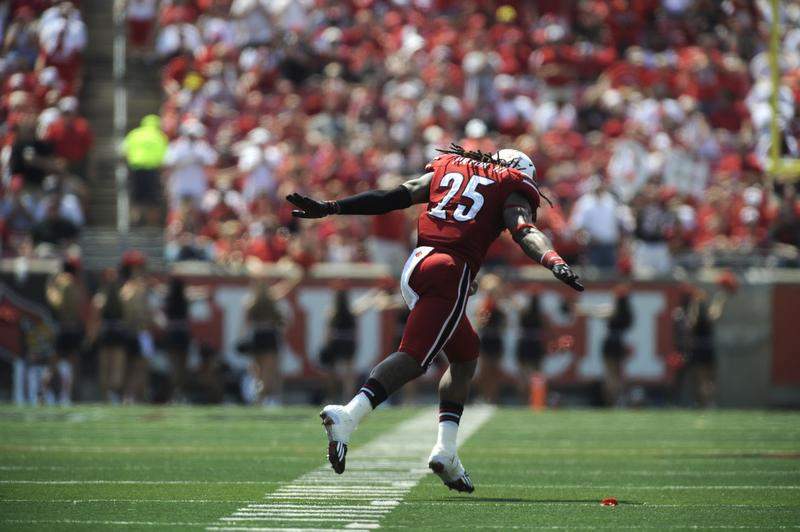 Louisville’s 24 runs against Cincinnati were the most runs cored by the Cards since May 1st, 2010 vs Rutgers (24). 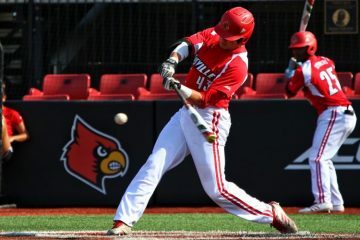 Junior second baseman Devin Mann’s 5 runs scored in the same game were the first time a Cardinal had scored 5 runs since Adam Duvall On May 5th, 2009 against Ohio State. 10 different Cards registered an RBI against Cincinnati, with 5 players registering 3 or more. Sophomore third baseman Justin Lavey matched a career high 3 hits in game 1 vs. Pitt. Louisville game 2 victory over Pitt was their 21st come from behind victory of the season, as well as their 10th straight win over the Panthers. Junior outfielder Josh Stowers matched a career high in both hits and stolen bases in game 3, with 4 hits and 3 stolen bases. He has also extended his on-base streak to a career long 35 games. Louisville will be at home all week, starting with a midweek game then ending with a weekend series that will begin on Thursday instead of the normal Friday. They might not be ranked in this week’s polls but don’t underestimate Indiana, for they are still very much a serviceable squad. 7 players have belted 6 or more home runs, and as a team they are fringe top 30 in both home runs and slugging percentage. Sporting an OPS of exactly 1.000, infielder Matt Gorski leads the Hoosiers in hits and total bases, and is also one of 3 Hoosiers with 33 RBIs on the season. While they have a very good and very balanced offense, their bread and butter is their pitching. As a team, they are ranked 4th in the nation in ERA and feature 9 starters and relievers with an ERA of 3.50 or less. 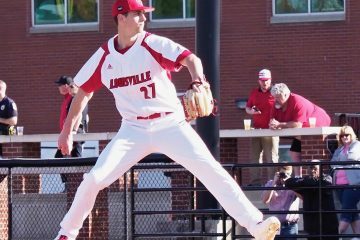 A couple pitchers out of then pen to look out for in Louisville’s midweek affair with IU are senior southpaw B.J. Sabol and junior setup man Matt Lloyd. Lloyd carried a 0.00 ERA through his first 8 appearances on the season and Sabol did the same through his first 15 appearances, with both pitchers sporting ERAs around 1. Pitching typically isn’t the order of the day for most midweek games, but it certainly will be the case for IU. 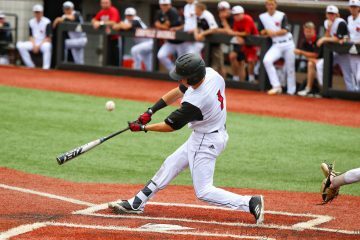 Louisville will have to continue swinging hot bats if they want to overcome the Hoosiers. 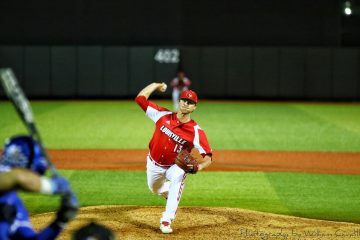 In terms of facing marquee pitching, Louisville will do an about-face when transitioning to facing Notre Dame for the weekend series. 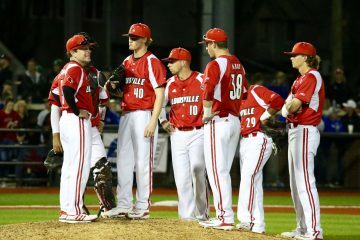 Statistically, they are arguably the worst pitching team that Louisville will have faced all season. They aren’t top 200 in any major pitching category, and have only 2 pitchers with an ERA of less than 4.00. While the Fighting Irish do feature a pair of hitters with both 90+ total bases and a .300+ batting average in Nick Podkul and Matt Vierling, overall their offense isn’t good enough to overcome their abysmal pitching. Even if Louisville does catch themselves in an offensive lull versus IU, it will certainly be remedied in this series. For the final week of the regular season, I am predicting that Louisville will fall to the Hoosiers but respond with a series sweep against Notre Dame.